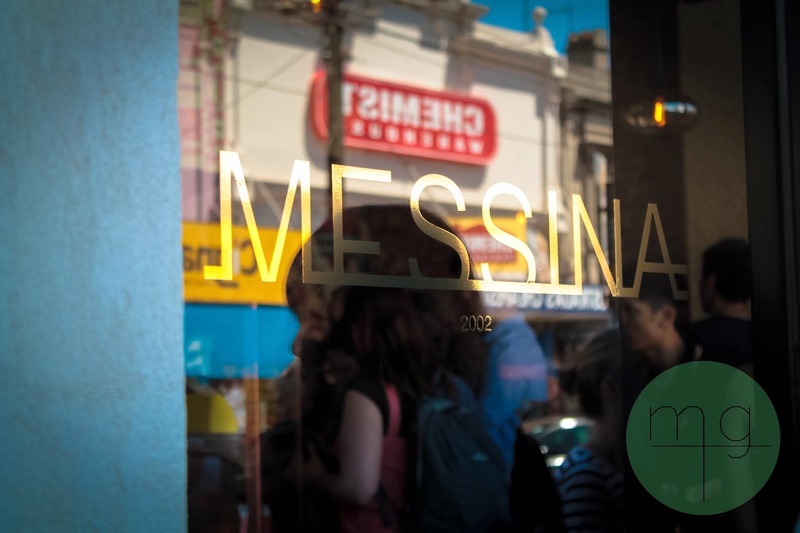 The opening of Sydney's Gelato Messina in Fitzroy last Thursday has probably been one of the most highly anticipated events in the Melbourne foodies blogosphere. I first heard about this place from a friend I had made in Shanghai. We bonded over our shared nationalities, and love of gelato. And then she told me I would need to come visit her in Sydney to try this amazing place because there was nothing quite like it. This was on my wishlist during my trip to Sydney last week, but as luck would have it, I did not get the chance to visit Messina while up North. 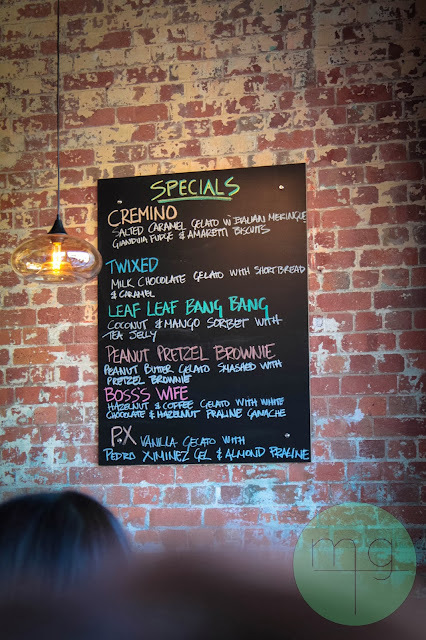 So I set out ensure I would be at least one of the first Melbournians to give it a try when it finally opened up in Fitzroy. I had liked the Sydney Gelato Messina page on Facebook and Instagram for a while before it had opened up - drooling and dying from FOMO at every single status update they posted - so I knew I could expect something extravagant from their specials menu. 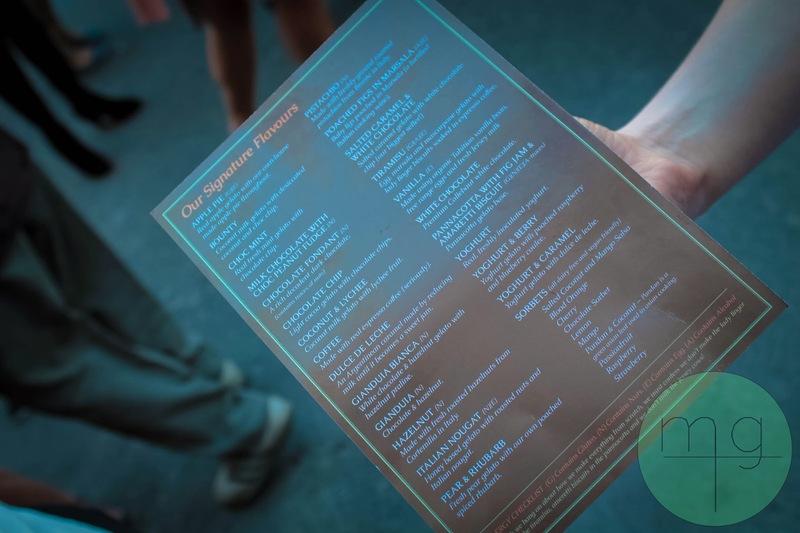 We were also given a menu to study in the queue so we would be decided on our flavours by the time we reached the front. With over 40 flavours, how can you not be overwhelmed with choices?! To go for something refreshing and light like sorbert? 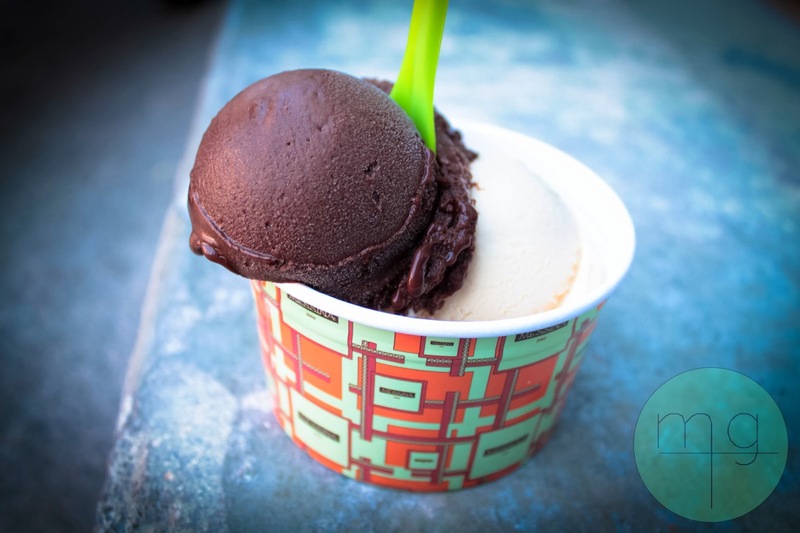 Or to go for the delicious naughty and rich ice-cream? I knew how to settle this - two scoops it was, it was now just a matter of what they would have to be. As hard as I tried, I could not look past the Salted Caramel & White Chocolate, and resolved I would just have to come back another time to try the rest of the flavours that kept shouting out at me. And based on the devilishly dark colour of the Chocolate Sorbet, I figured it would make a nice and cool combination of colours and flavours. It was heavenly. A silky smooth consistency, with salty hints of crunchy caramel that deliciously melted into the dark chocolate to leave a swirling pool of marbling colours. Each mouthful left me craving more and I was incredibly sad to reach the end - although, I'll admit it was a generous serving!